Batangueño woman from Lipa shows bayonet scars. Image source: United States National Archives. In their haste to kill the locals in Lipa, and likely because of the sheer numbers that they were trying to massacre, the Japanese soldiers in their killing frenzy did not make sure that everyone was killed. There were, indeed, survivors, as the photograph above shows. 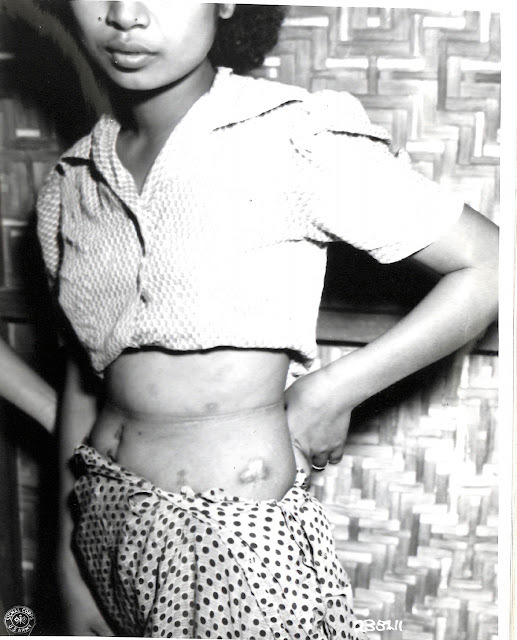 Original Caption: Elisa Robles displays bayonet scars on her left side, which was caused by Jap atrocities in Lipa, Batangas, Luzon, P.I. (for Philippine Islands).